Acharya Vidya Kula (AVK) is fostered by a trust registered in Mysore, India (No. 606/96-97). The Indian Council for School Certificate (ICSE) curriculum was adopted because its syllabus is regularly updated to make it relevant to the times. Its past students have done well in their academic studies and careers, justifying AVK's bid to join the many prestigious ICSE schools in India. The stress from the very first standard, is on Sanskrit, and Yoga. The ICSE board has not only appreciated AVK's objectives and the means to attain them; it even entrusted to AVK the framing of the Sanskrit curriculum up to the XII standard at least as an optional subject. AVK is the only school in Mysore which prepares, encourages and allows students to take the Xth class ICSE examination in the arts. Some of its past students have become students of architecture. Examples of the works of some of its current and past students will soon be posted to web site. Students of AVK take active part in the Children's Movement for Civic Awareness (CMCA) exposing them to the burning social issues of their times. AVK has been proud winners of prizes in this activity. 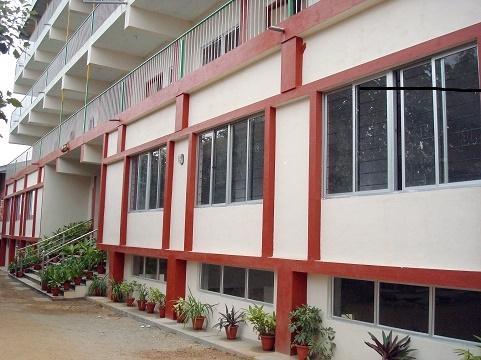 The School's name seeks to project the evergreen home of teaching. The teacher, Acharya, and the taught, Sishya, ideally forming a familial bond, Kula. Teacher-Wisdom-Family make in unison the optimal school. The school's emblem is the evergreen tree, the Banyan, Kalpa vriksha, its trunk is Vedic and Vedantic; its branches spread wider than any other. 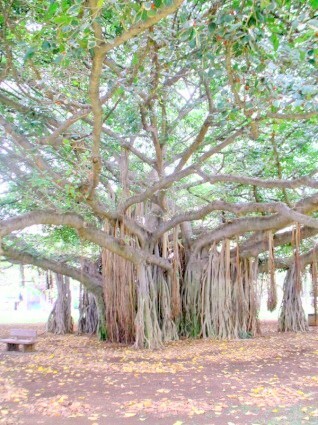 Its aerial roots represent the precious sustenance of knowledge culled from everywhere. Beneath such a canopy, hopefully, all the world's children will find themselves evolving into children of nature, Prakriti, loving it, cherishing it and being nourished by it. Derived from the Srimad Bhagavad Geetha, the School's motto is Nishkama Karma, Duty beyond desire, the essential Vedic precept of conduct.